The Canadian state and its allies increasingly seek access to various forms of communications metadata for law enforcement and state security purposes. In Canada, the legal approach for authorizing this state access attaches different levels of protection to different categories of information, based on the perceived privacy interests attaching to these categories. For example, data that reveals the “content” of a communication receives greater protection than metadata such as “transmission data”. Courts have rejected this categorical approach, most notably in the Supreme Court of Canada’s decision in R v Spencer. The privacy interest associated with communications metadata depends upon the context of use and not on the nature of that information understood in abstraction from that use. The Canadian government has responded to the Spencer decision by seeking ways to legislate around it and preserve its increasingly outdated approach to communications privacy. In this project we offer an alternative approach to lawful access that is sensitive to the use-context of communications metadata. Essential to this approach is the claim that the legal architecture of lawful access must develop with a greater understanding and adoption of technological means of preserving privacy and accountability. Doing so, we propose, opens up possibilities to rethink lawful access that can be more rights protective than current methods but also better meet the needs of law enforcement. 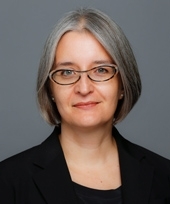 Lisa Austin, is a currently Professor of Law and the University of Toronto, Faculty of Law. Prior to joining the faculty, she served as law clerk to Mr. Justice Frank Iacobucci of the Supreme Court of Canada. Professor Austin received a 2017 President’s Impact Award from the University of Toronto. Professor Austin’s research and teaching interests include privacy law, property law, and legal theory. She is published in such journals as Legal Theory, Law and Philosophy, Theoretical Inquiries in Law, Canadian Journal of Law and Jurisprudence, and Canadian Journal of Law and Society. She is co-editor (with Dennis Klimchuk) of Private Law and the Rule of Law (Oxford University Press, 2015), in which distinguished Canadian and international scholars take on the general understanding that the rule of law is essentially only a doctrine of public law and consider whether it speaks to the nature of law more generally and thus also engages private law.